It looks like we are in for a dry-ish and bright weekend. Great weather to get out and about and with the kiddies. 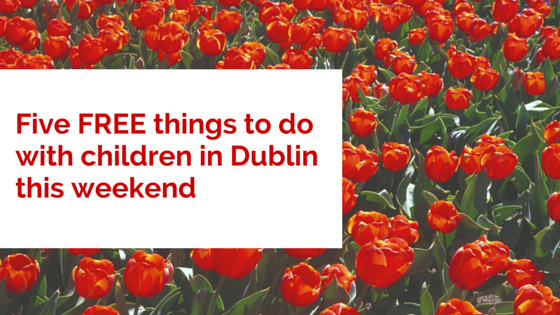 Here are some ideas for five free things to do in Dublin this weekend. Outdoor Movies in the Park, Marlay Park, Rathfarnham. Back and bigger than ever this year with a new super fancy LED screen, outdoor movies in Marlay Park on Saturday August 8th and Sunday August 9th. Admission is free and there will be 6 screenings over the weekend. Please see here for more http://bit.ly/1DpPCJ7. Drop-in Family workshop at the National Gallery, Merrion Square. Let your little one explore their creative side. This Saturday August 8th 11:00- 11:50 their is a family drop-in workshop. All materials are provided. The workshops are most suitable for families with children aged 4-10. Admission free, no booking required. Places are limited, so arrive early to avoid disappointment. Further information: http://bit.ly/1JLMx6Z. Hands on History, Collins Barracks, Dublin 1. A chance to explore some of the artefacts from the Museum’s collection of objects for handling with Museum educators. This Sunday 9th August, 3 – 4 pm. Suitable for all ages, no booking required.